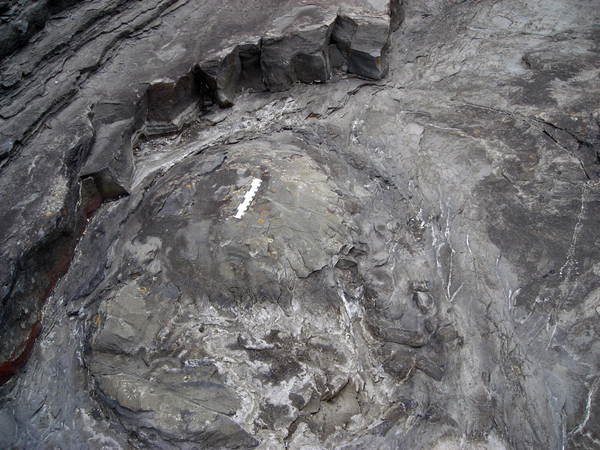 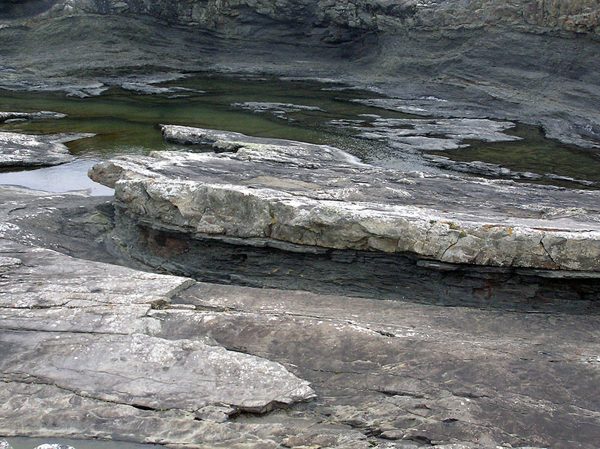 The lower portion of the Ross Formation section at the Bridges of Ross consists of deepwater fan lobes with sparse shallow channeling. 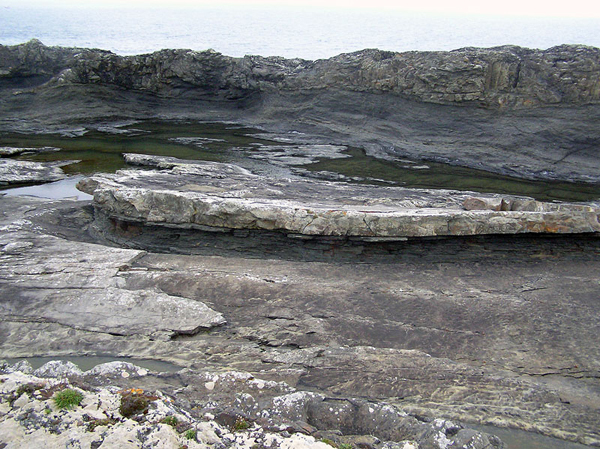 Above is a slumped horizon that extends over most of exposure at the Bridges of Ross and at its north end exhibits a series of sand volcanoes overlying the slumped sediments. 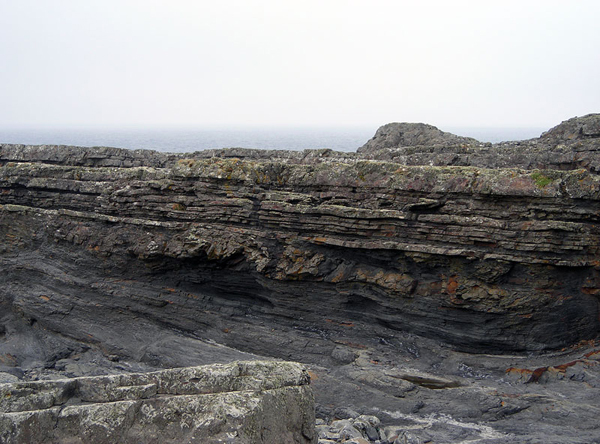 Capping the slumped horizon and sand volcanoes are sheets of sand characterized by incised stacked channels whose sandstone fill extends beyond the channels as wings (Elliot, 2000a). 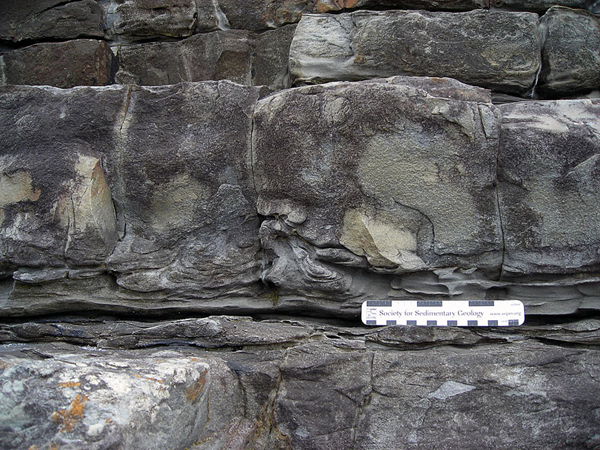 Photos by Christopher Kendall, Peter Haughton and David Pyles. 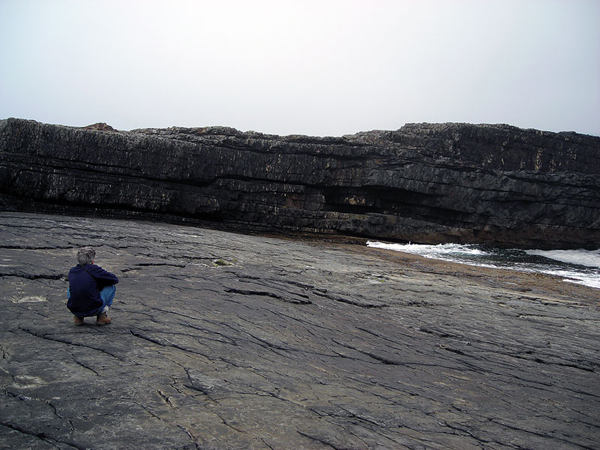 Thanks to David Pyles for his annotated overview of shore taken from a helicopter and the same shot with no words at start of gallery. 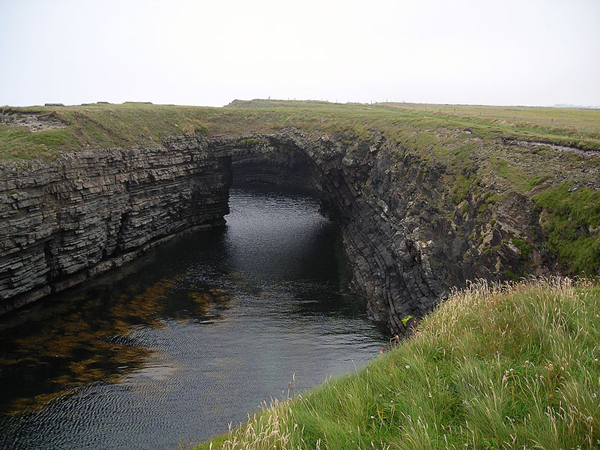 This locality is famous to the local Irish and visiting tourists for the well known arched "Bridge" of the Ross Sandstone that has been eroded by wave surge. 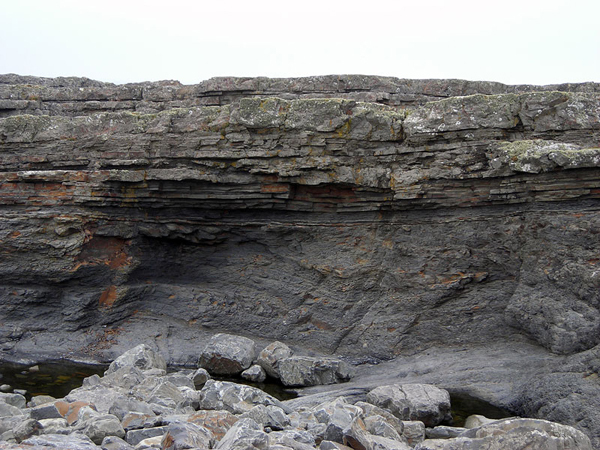 Among the geologists attracted by the arches, now arch, were the sedimentologists who recognized the sand volcanoes developed from de-watering at the top of the slumped horizons. 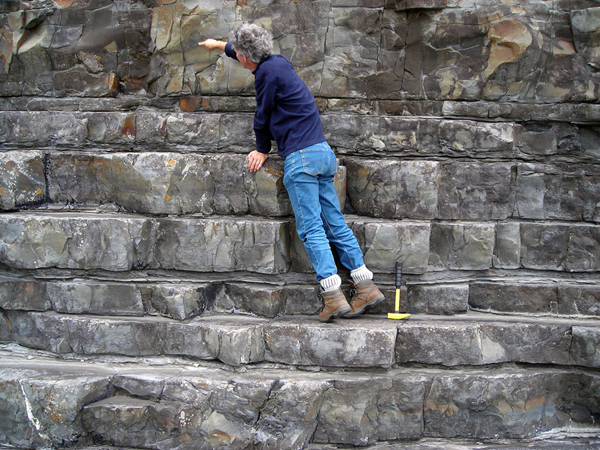 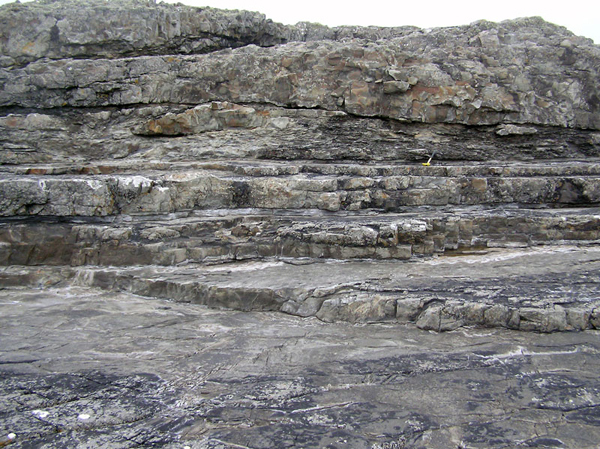 This in turn led to study of the deepwater sedimentary systems of the Ross Formation. 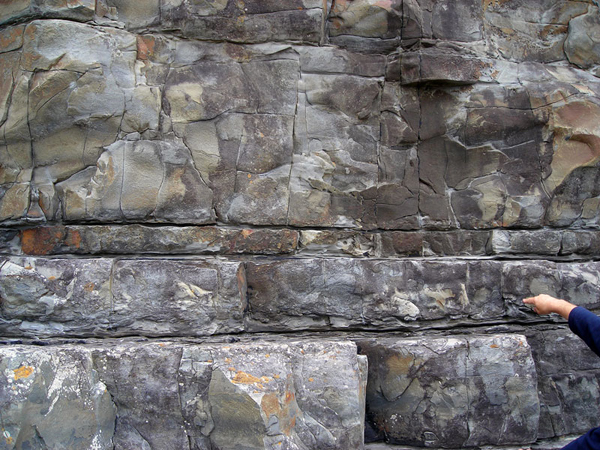 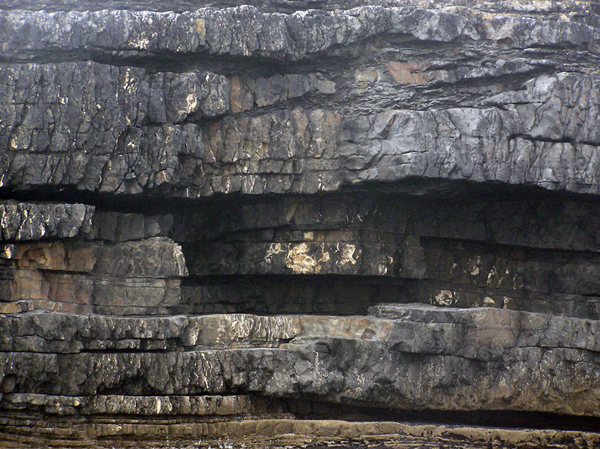 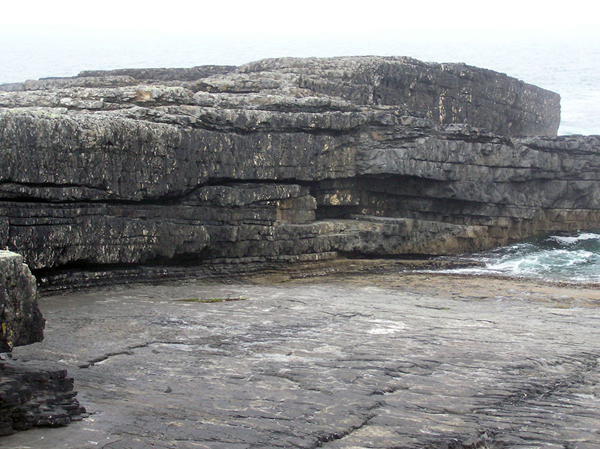 In particular the upper part to the Ross Sandstone Formation where it is dominated by a major slump that is overlain by a compound turbidite channel. 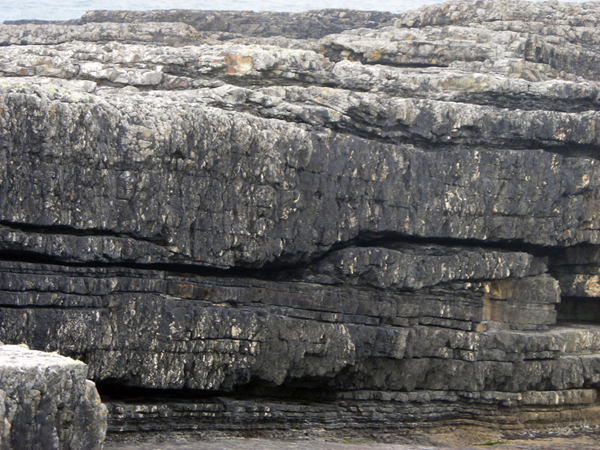 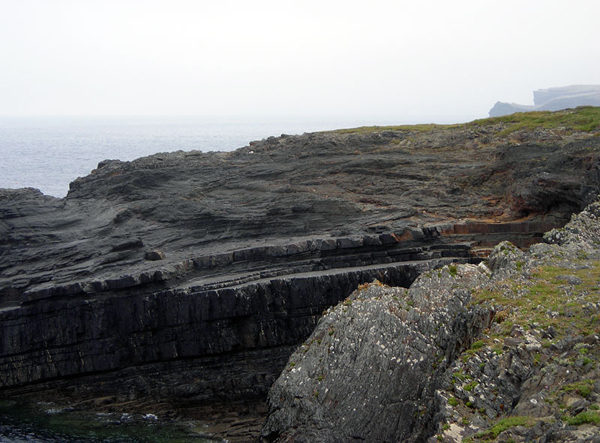 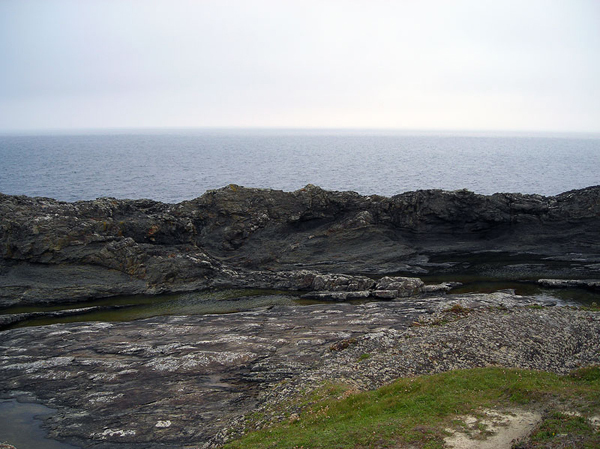 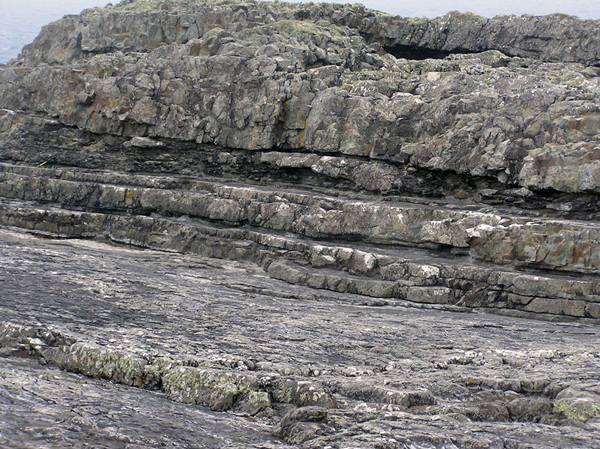 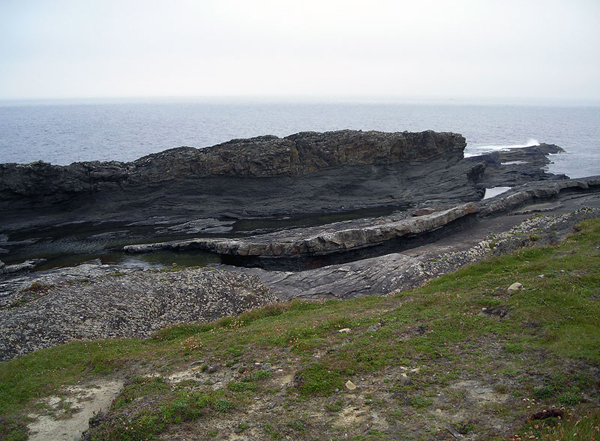 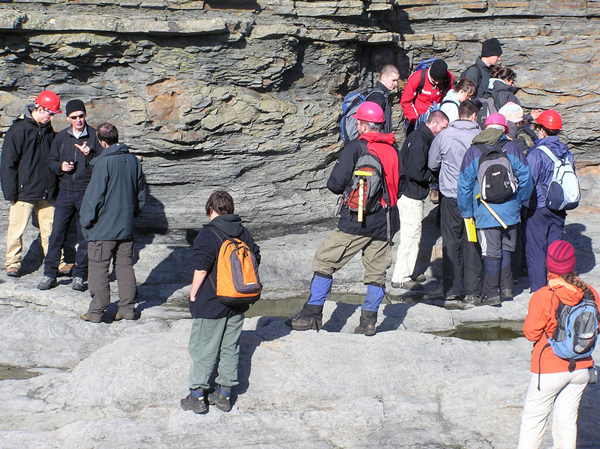 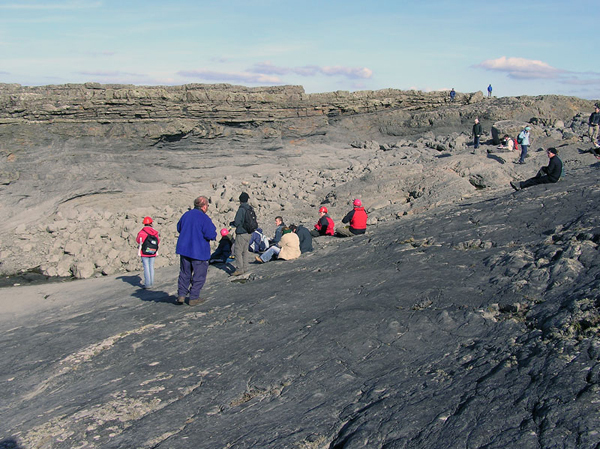 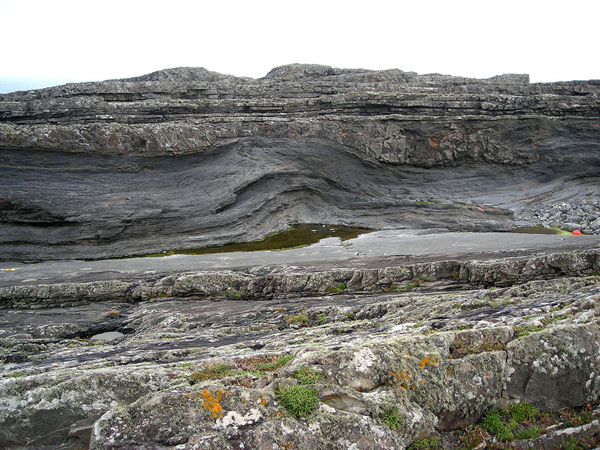 The research of Dan Gill (Prof Gill to his Trinity College Dublin students) introduced the sedimentology of the outcrops of the Bridges of Ross to TCD students and then working with Kuenen (Gill and Kuenen, 1958, later expanded on with Gill , 1979) he focused on the sand volcanoes that are exposed at this locality. 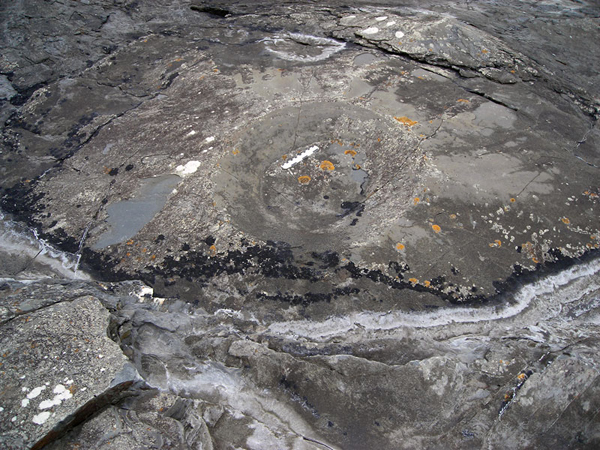 This work was expanded by Rider (1974) who recognized that the Clare Shales have a deepwater euxinic setting and that the sandstones of the Ross Formation are the products of the turbidity currents that flowed from the south-west in the late Carboniferous. 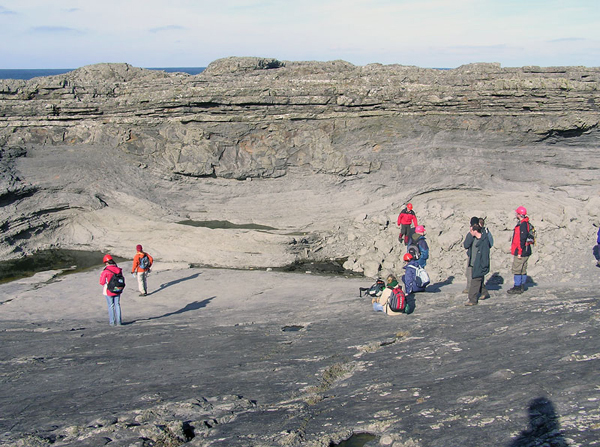 These initial studies inspired the research of Martinsen (1989), Strachan, (2002), Lien et al, (2003), Pyles, (2004, & 2007), among many others, all of whom have been extending our understanding of this classic geological outcrop and field area. 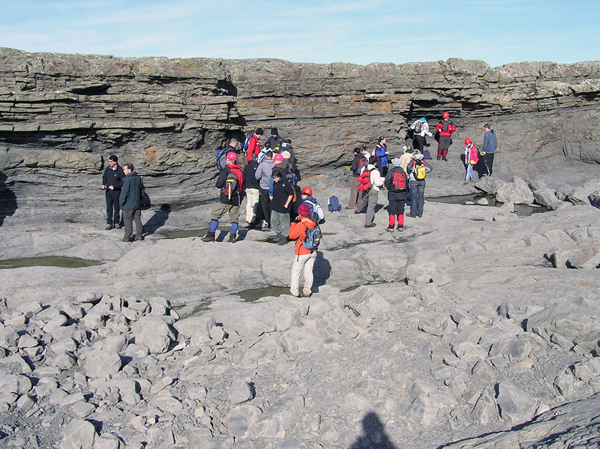 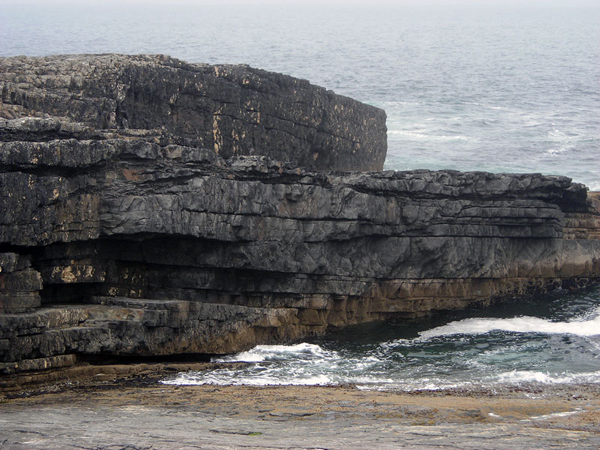 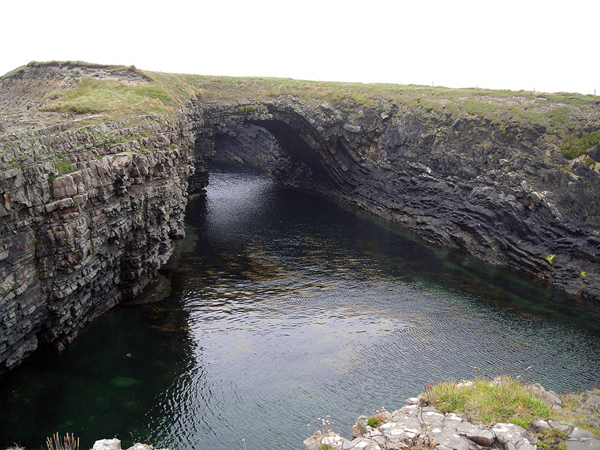 Now, the fact that hydrocarbons are trapped in similar deepwater systems elsewhere on our globe, have made the Bridges of Ross area a place to visit to geologists associated with the oil industry, as they travel to Co. Clare to try and better understand deepwater sedimentary systems. 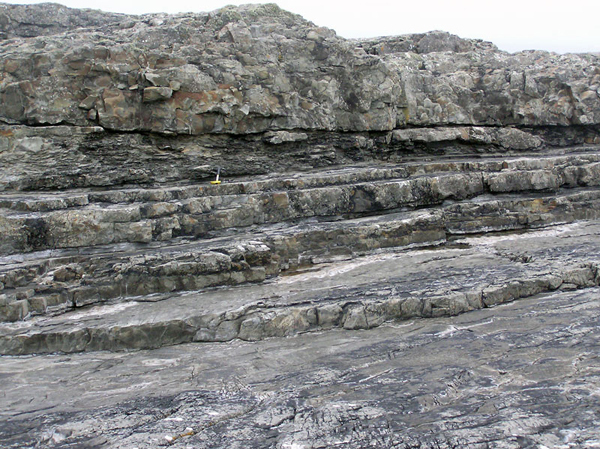 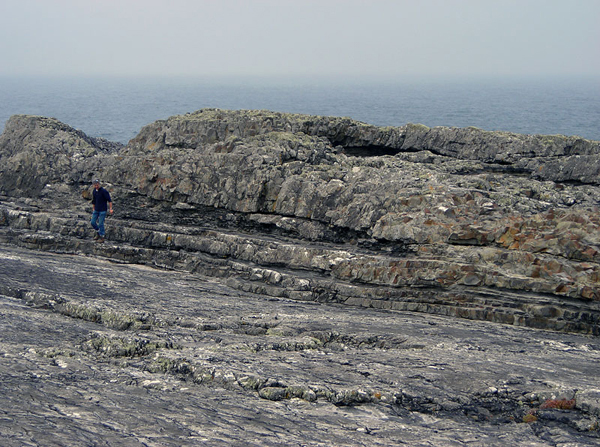 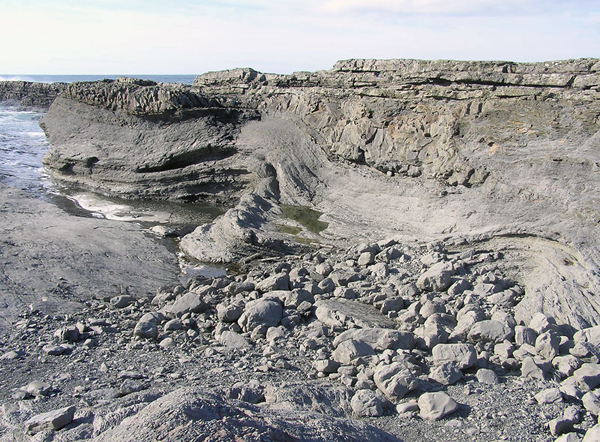 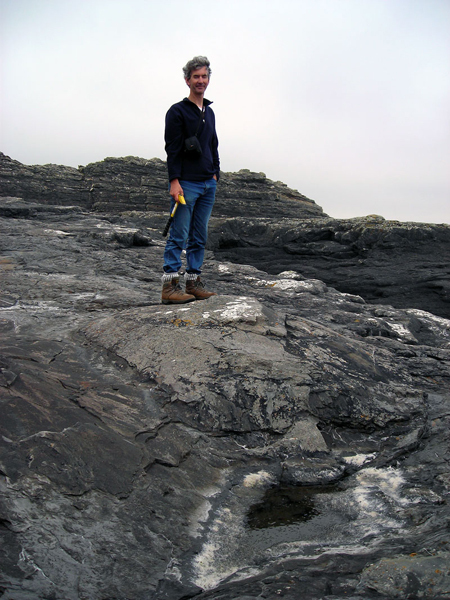 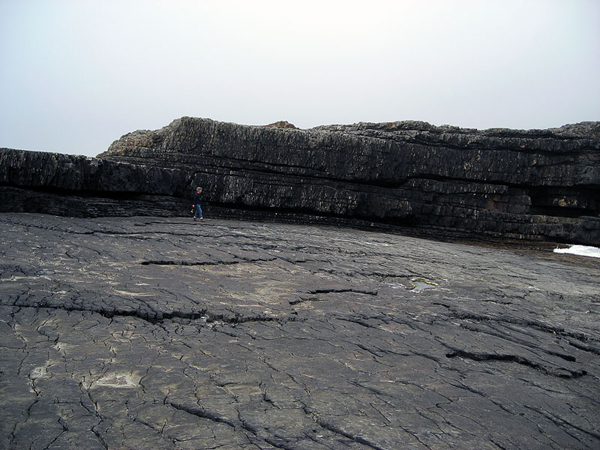 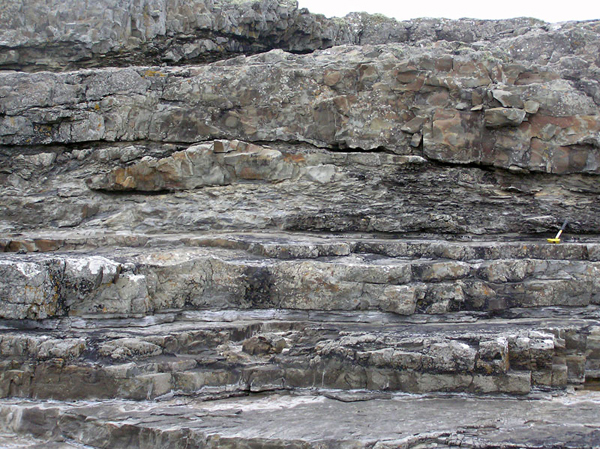 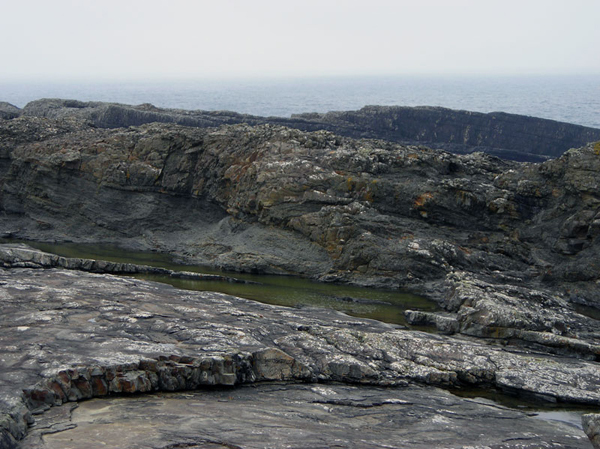 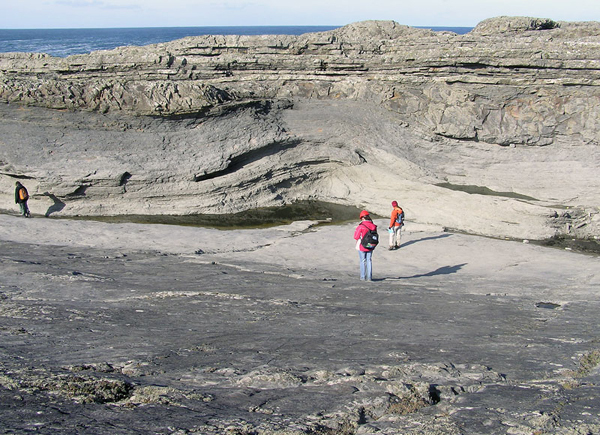 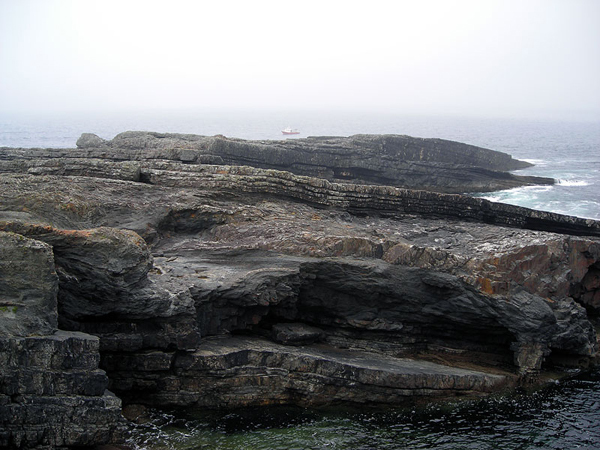 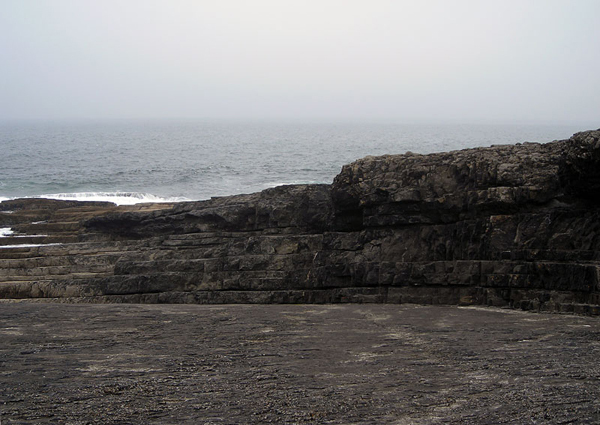 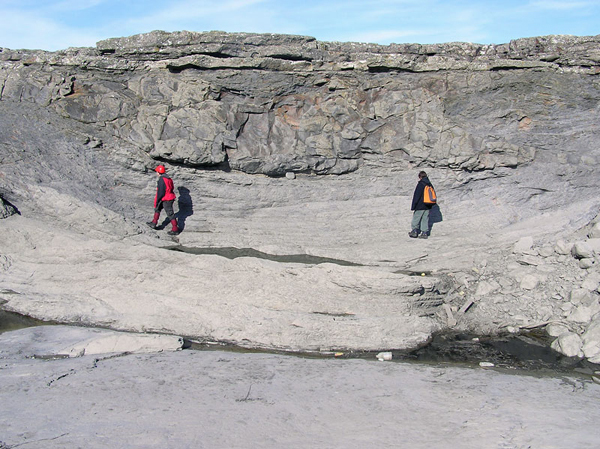 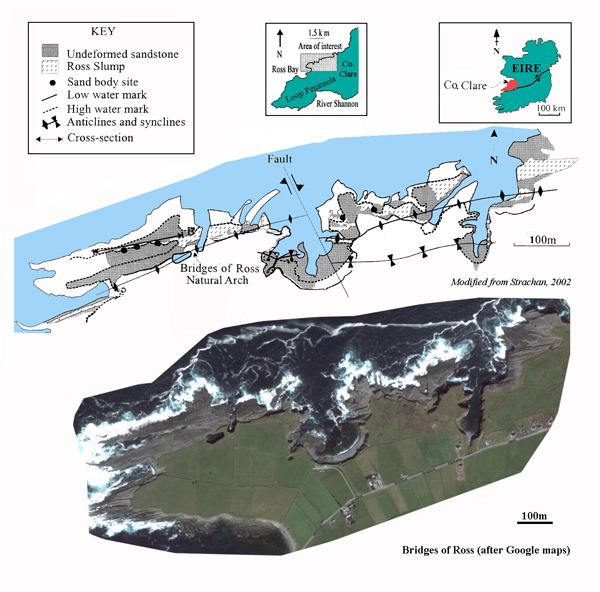 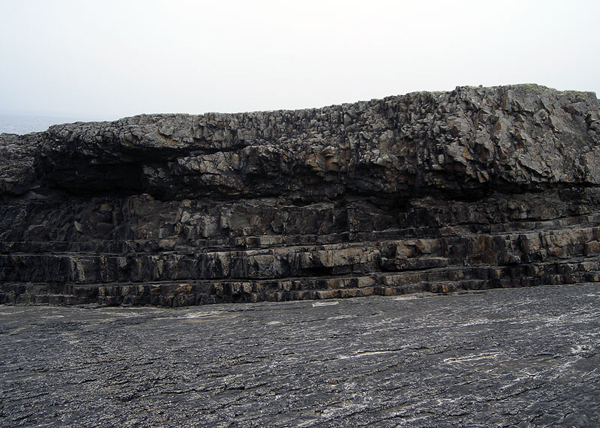 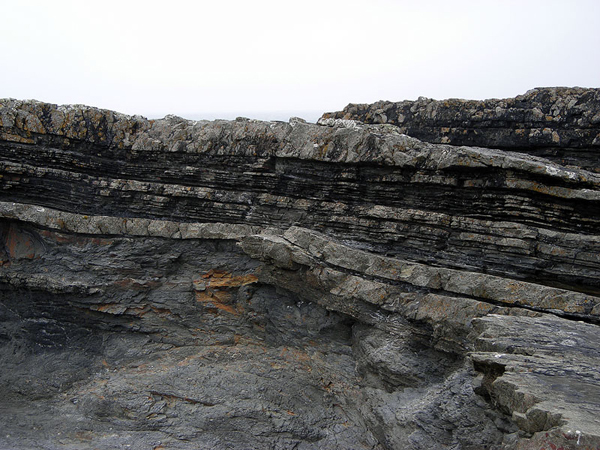 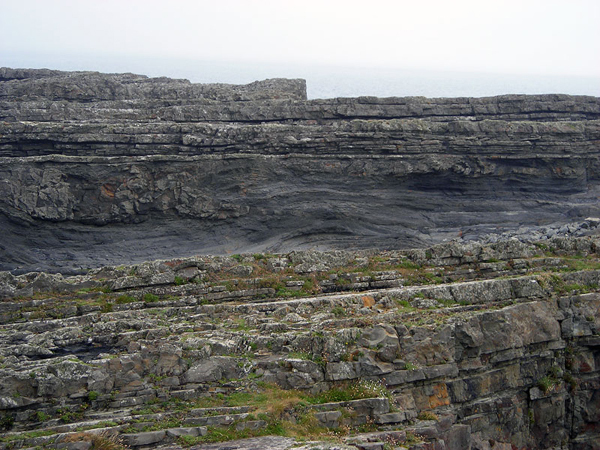 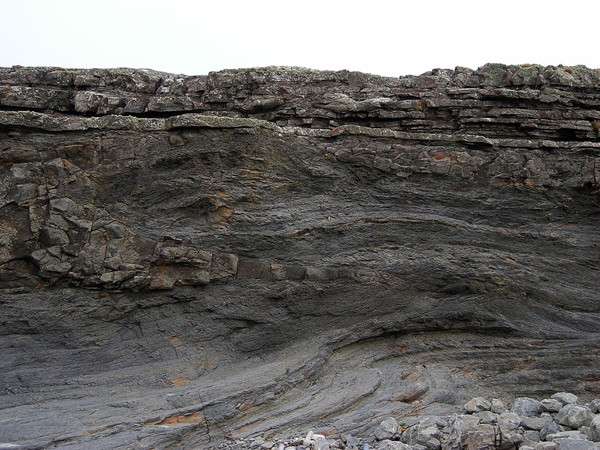 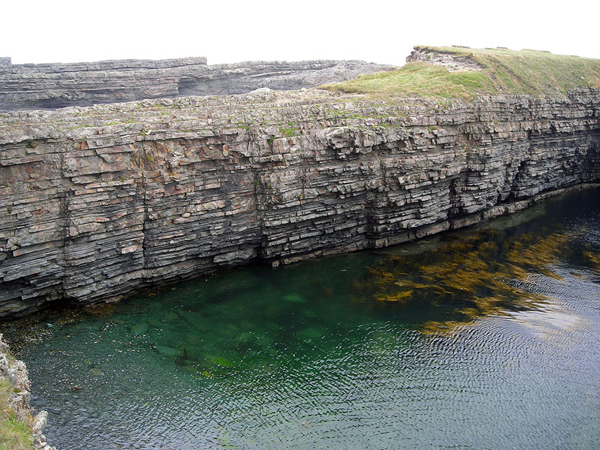 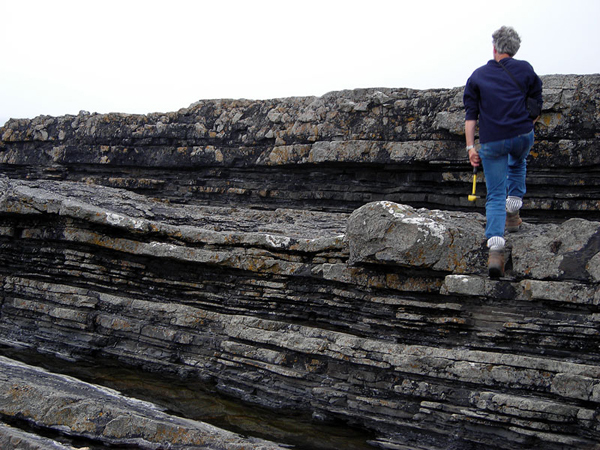 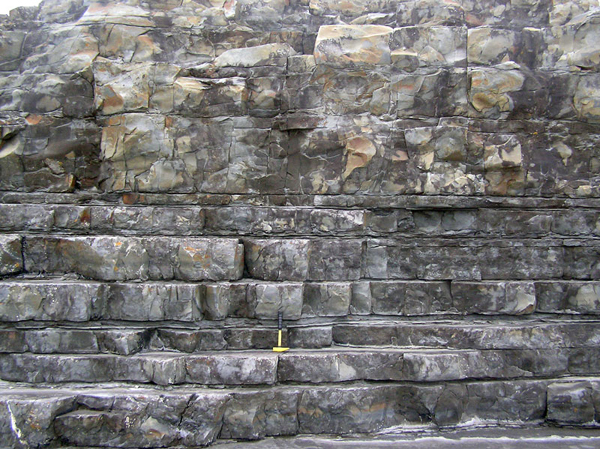 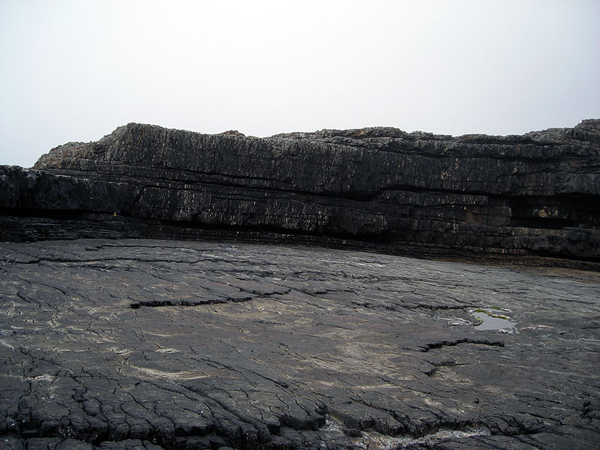 Elliott, T., 2000 a, Depositional architecture of a sand-rich, channelized turbidite system: the Upper Carboniferous Ross Sandstone Formation, Western Ireland. 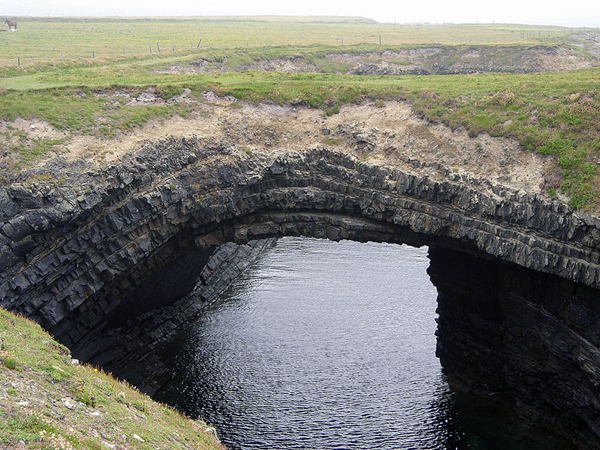 in P. Weimer, R. M. Slatt, A. H. Bouma, and D. T. Lawrence, eds., Deep-water reservoirs of the world: Gulf Coast Section SEPM Foundation, Twentieth Annual Research Conference, p. 342–373. 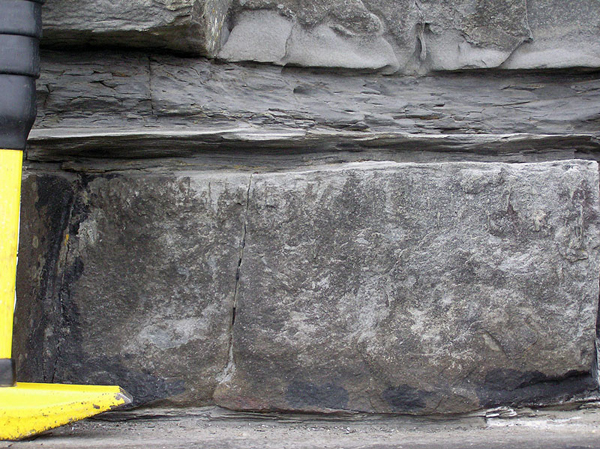 Elliott, T., 2000 b, Megaflute erosion surfaces and the initiation of turbidite channels, Geology; v. 28; no. 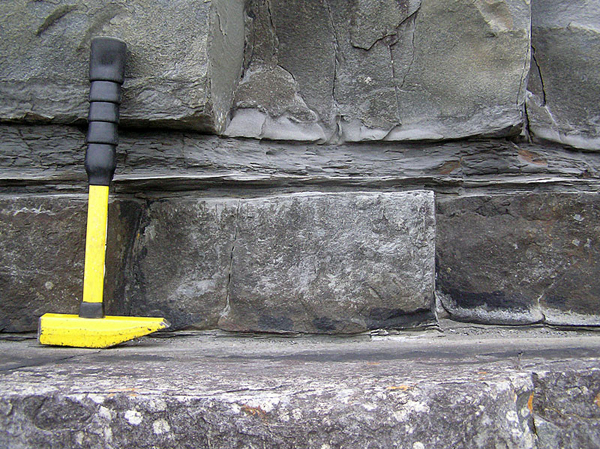 2; p. 119–122.